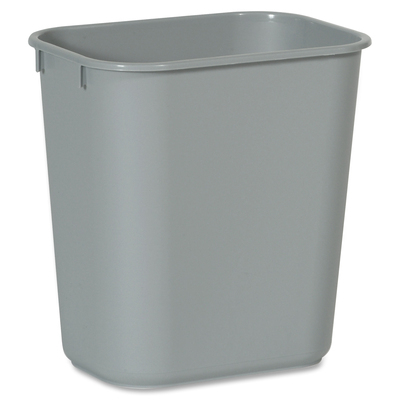 Space-Efficient Deskside Wastebasket Is Durable And Easy To Clean. It Fits Under Standard Desk Height Even When A Swing Top (Sold Separately) Is Fully Extended. All-Plastic Construction Won'T Chip, Rust Or Dent. Rolled Rims Add Strength. Wastebasket Will Not Mar Furniture Or Floors..